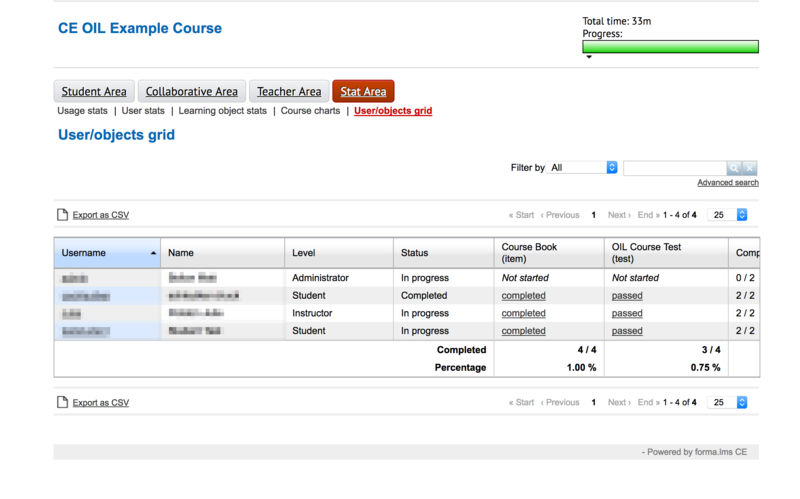 What is the built in course trigger for altering a student's status to complete? I can't seem to figure out if there's some built-in functionality on course e.g. all Learning Objects completed, something the instructor is supposed to administrate, or if this is just something a super admin is supposed to do. The only success I've seem to have is the latter via a super admin going into the course and altering said student's status to "Completed"
Is there something builtin here I'm missing to trigger a student's status flag to completed. Appreciate any help in advance. 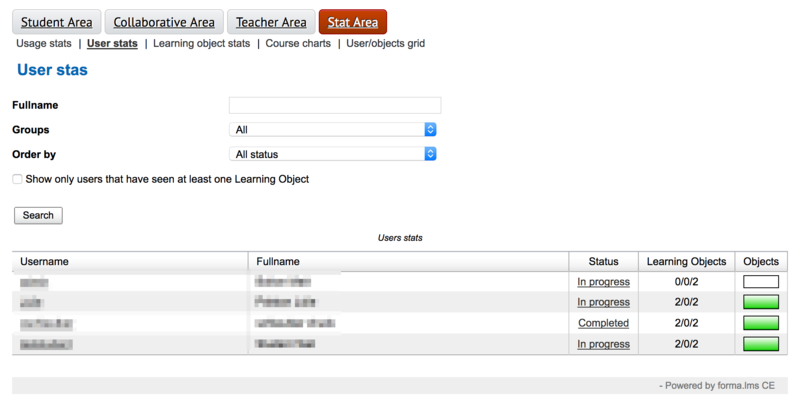 Re: What is the built in course trigger for altering a student's status to complete? You're looking into the wrong place, that is the section where you manage the course subscriptions and the user status on the course. What you refer to is in the front-end section and it's called "user object grid". There, anybody who has the right permissions (it can be an instructor, a tutor.... it's up to you to decide and to configure the menus according to your needs) can change the user status on the single LO. the user status on a LO can only be set to completed if the user at least has started it. You cannot change from "not attempted" to "completed" (but you can do the opposite). Hey thanks for the quick reply max! Would you mind hooking this newbie up with a screenshot of the "user object grid" for better context? It's an item normally assigned to the Teacher Menu or to the Stats menu. Again, you can configure it as you like. Thank you for help, you made my day! From your question, I thought you were interested in changing the user status on specific LO's, not on the whole course. yes, here you can see the status of every user on every single LO. Clicking on the username takes you to the detail, then you can change the status on every single LO. Yes, I thought you didn't want that. But you're right, from here an instructor can change the status on the whole course without going to the administration section. That is of course less precise and "credible" than setting every single LO as completed. uh_oh_spaghettios wrote: Thank you for help, you made my day! Happy it was so simple!